The Amazon Echo Show was Amazon's first smart speaker to sport a screen. The 7-inch touchscreen display allows you to see song lyrics, recipes, streaming video, security camera images and more. Normally sold for $229.99, Amazon has a huge sale on the device for Prime members only. If you are a Prime subscriber, the Echo Show can be yours from Amazon for only $129.99. At that price, you are saving $100, or 43%. This is the lowest price that Amazon has ever posted for the Echo Show, and it certainly is a tantalizing deal. 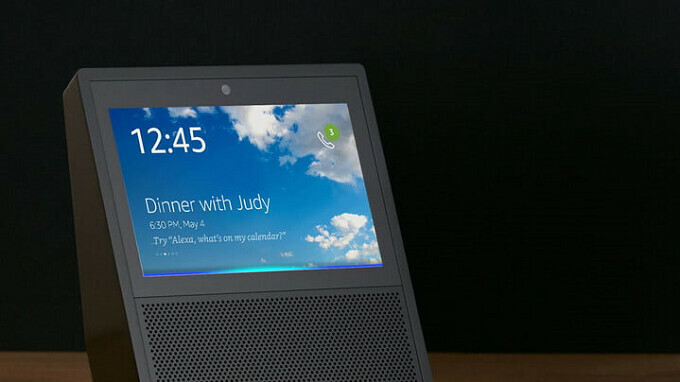 Besides the display, the smart speaker is equipped with a 5MP front-facing camera for video chats, and the device carries a pair of speakers and eight microphones. The color options available are Black and White. You can pay $129.99, or finance the purchase through Amazon. If you elect to use the installment option, you will make five monthly payments of $26 to buy the Amazon Echo Show. And since we have no idea when this offer ends, if you're interested in the smart speaker, you shouldn't wait too long to pull the trigger on the purchase.